For those people dreaming of getting a job in Canada, you might want to have a closer eye on the province of Newfoundland & Labrador. 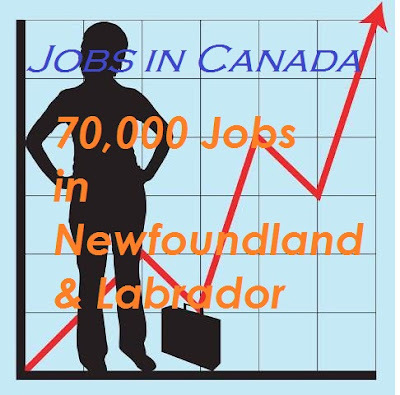 The province is expected to have 70, 000 job openings in the next 10 years as reported in thetelegram.com and based on the recent release of the Newfoundland and Labrador Labour Market: Outlook 2020. The government, businesses, job seekers and even students in this province and in Canada, in general, can refer to these projections in making plans for the future. The projections revealed that hiring will peak at about 2015 with the highest need coming from utilities, health care and trade sector followed closely by manufacturing, accomodations, food service, transportation & warehousing and mining. Workers of all skill and education levels will be needed to address the employment demands of these sectors. The decline of working age people in this province poses a great challenge to meet these future employment demands. The priority will still be given to Newfoundland and Labrador residents. Afterwhich, other Canadian citizens or residents will be considered. And lastly, foreign workers via immigration. Newfoundland and Labrador has an estimated population of 509,200 as of October 2010. Nine years from now, 65 years old or older is projected to comprise 45% of the province population. Workers from within the province will not suffice to answer the 70,000 job demand projected in that time span. Migrant workers may want to have look at the labour market in Newfoundland & Labrador in Canada for better career opportunities in the future .